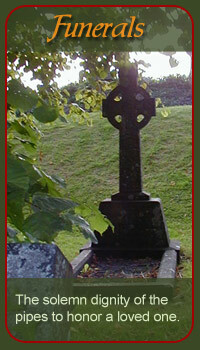 Kevin Grace - Beautiful Bagpipe Music for your Wedding, Funeral, or Special Event. Funeral Bagpiper, Wedding Bagpiper, in New York, New Jersey, Pennsylvania. My name is Kevin Grace and I am a professional bagpiper for hire. 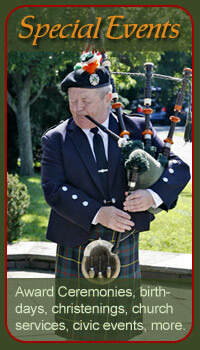 I love to play the pipes and have over 30 years experience playing in a vast array of events. 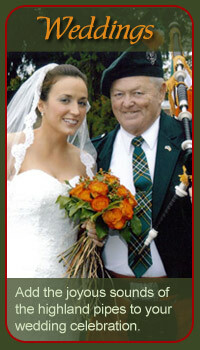 I specialize at Wedding Bagpipes, Funeral Bagpipes, and special events. I can travel to play anywhere in New York State, the Hudson Valley region, Northern New Jersey, Eastern Pennsylvania, and Southern Connecticut. Thank you for considering my services and I would be honored to play at your event and help make it a memorable occasion.